This is really only part of what I wanted for my title but my original idea was so long, it would ever have fitted in the space. It was, ‘five things you can do on holiday that you’ll never do in Riyadh, but five things that come a pretty close second.' Confusing? Best then, that I just get started and let things make sense as I tell the story. 1. In Spain we climbed the winding stone staircase of the Cathedral of Santiago de Compostela. We were on a 'Walk the Rooftop' tour. At the top the door opened out onto ancient granite roof tiles, which led us like steps up to the ridgeway and then down the other side. We stood perched on top of the world and took in the sweeping views of Santiago and the countryside beyond. Well, it goes without saying that there are no cathedral roofs to climb here. 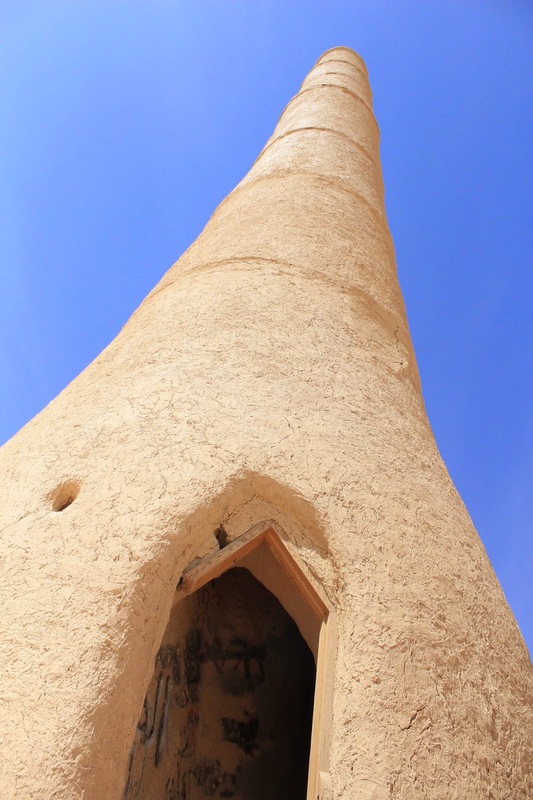 But what comes a pretty close second is the old Najd village of Ar Raghbah, northwest of Riyadh, and its ancient watchtower. When we visited we climbed the narrow, uneven steps to the top and looked down on a completely different village and landscape vista. 2. 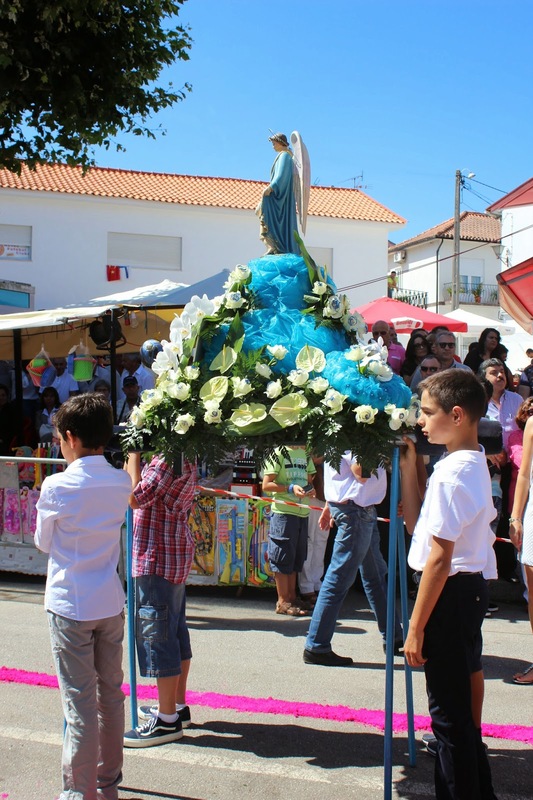 In a small village in Portugal we came across a procession of religious icons. These were carried through the main street on a carpet of flowers by men, women and even children. It’s certainly not something you’ll ever see in Riyadh, and the nearest I can think of in terms of colour and festivity is the annual Janadriya festival. It’s a very different celebration but has the same cultural components. We’ve seen processing musicians, sword dancers and even classroom reenactments of young schoolboys learning from the Qu’aran. 3. One day we drove through the Picos Europa in Northern Spain, a beautiful national park with stunning mountains and lush greenery. The scenery reminded me of New Zealand, first the Remarkables in Queenstown and then the Southern Alps of my hometown, Christchurch. That was until a roadside sign flashed past and I realised that really this was nothing like New Zealand and we actually were a very long way from home. I smiled and thought of our weekend excursions in Riyadh. We’d travel out to the Red Sands, climb the dunes, look for fossils and then drive home past very different roadside signage. 4. There’s something special about the colour and energy of early morning markets. I love the just washed, still wet flagstones, the soft light, the lilt of an unfamiliar language and the array of fresh produce. 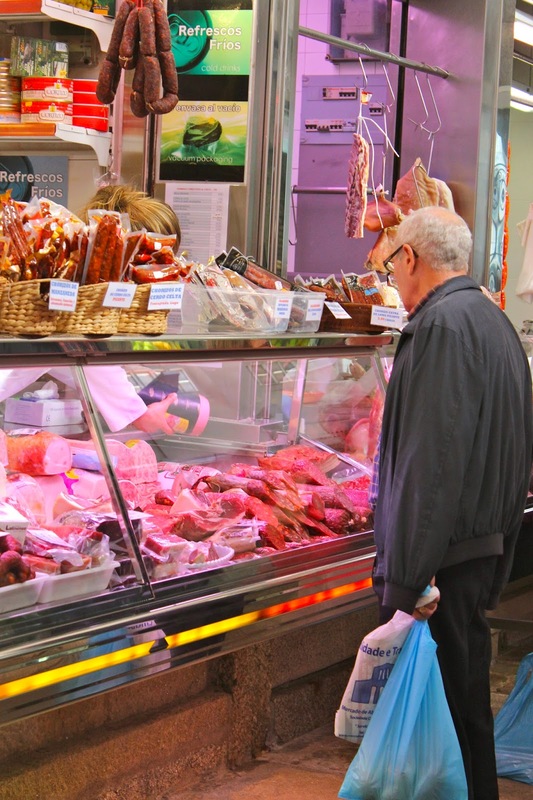 I watch as shoppers discuss what they want, make a choice and then sometimes wait as its cleaned and prepared. Probably the nearest I’ve come to this in Riyadh is walking through the old part of Deira Souk, Al Zell. 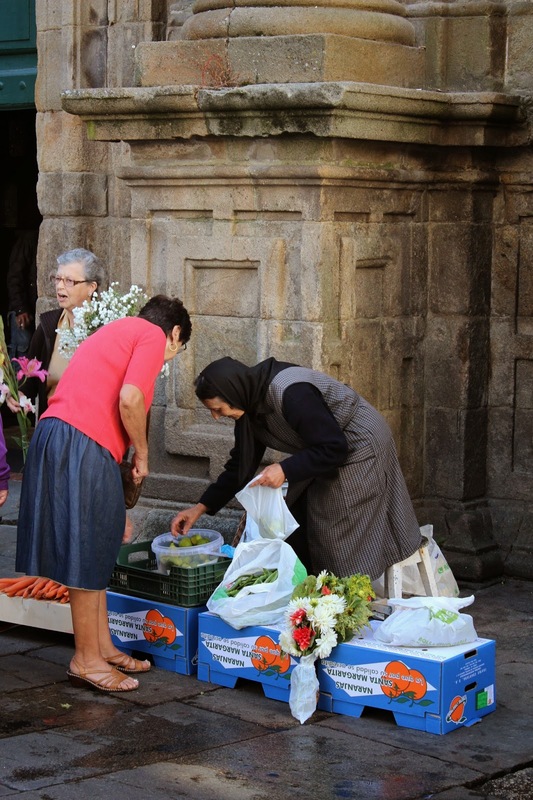 Instead of fruit, cheeses or fish, I’ve seen frankincense weighed and sold, and then passed shop owners sitting out in the open air reading and chatting. 5. Souvenirs. Around the Cathedral in Santiago there were hawkers with the usual collection of tourist trivia. I bought nothing but remembered the bazaars I’ve attended here. They’re usually held in compounds and sell a different but often equally trivial range of merchandise. As in Spain, I’m not usually tempted. However to every rule there’s always an exception. There just may be one of these on the front of my fridge in our Riyadh kitchen. That would be because it made me smile at the time, and on a quiet day when I’m back home and the holiday’s over, it still does.